Saint Hyacinth Academy as founded by Dominican Sisters from Tacoma, Washington in 1945. Although construction began in 1945, the campus was not completed until the following year because of lack of building materials at the end of World War II. 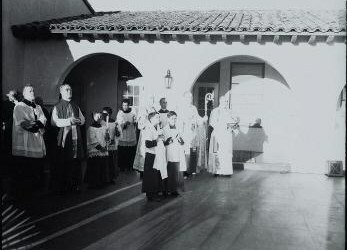 Saint Hyacinth Academy opened its doors to the community in the fall of 1946, serving the parishes of Saint Anthony's in San Jacinto, Our Lady of the Valley in Hemet, and Saint Joseph's Mission on the Soboba Indian Reservation. The first year 170 students were enrolled in grades first through eighth. The Dominican Sisters served the school community until 1969. Since then various other religious orders have ministered at the school. Today, Saint Hyacinth Academy is staffed entirely by lay personnel. 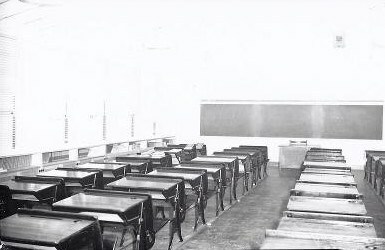 In 1982, a kindergarten class was added. 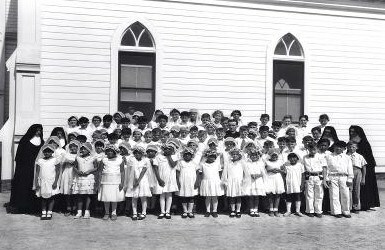 A pre-school program was introduced in the fall of 1985. At present, the pre-school program operates at maximum capacity and has become an important asset of the school. Also, in the fall of 1985, grades six, seven and eight were transferred to the property of Our Lady of the Valley in Hemet on a trial basis. The goal was to create a middle-school at Our Lady of the Valley which would allow for growth in the lower grades at Saint Hyacinth Academy. Grade five was transferred the following year. For various reasons, all grades were returned to the San Jacinto Campus in June 1987. In 2005, a pre-kindergarten call was added at St. Hyacinth Academy. This class was established to help provide future kindergarten students with the necessary skills that would be needed in Kindergarten. 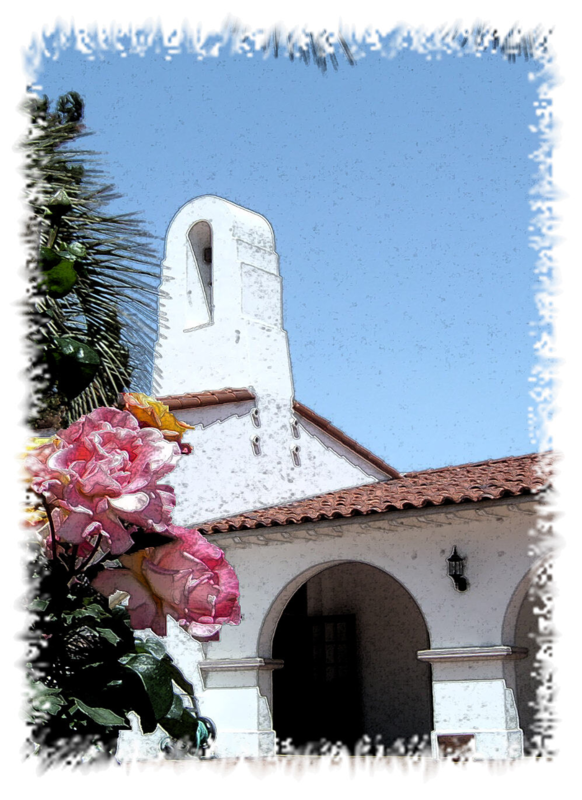 In 1991, Holy Spirit, a new parish, was esablished in the Valle Vista area of the San Jacinto Valley, east of Hemet, and has become a stronger partner with the school. In addition to these local parishes, Saint Hyacinth Academy serves families from surrounding communities of Nuevo, Winchester, Homeland, Romoland, Anza, and Moreno Valley.